AMD Phenom II processors deliver the ultimate visual experience for high definition entertainment, advanced multitasking performance, and power-saving innovations for smaller, cooler machines that are energy efficient. Live your life in HD. 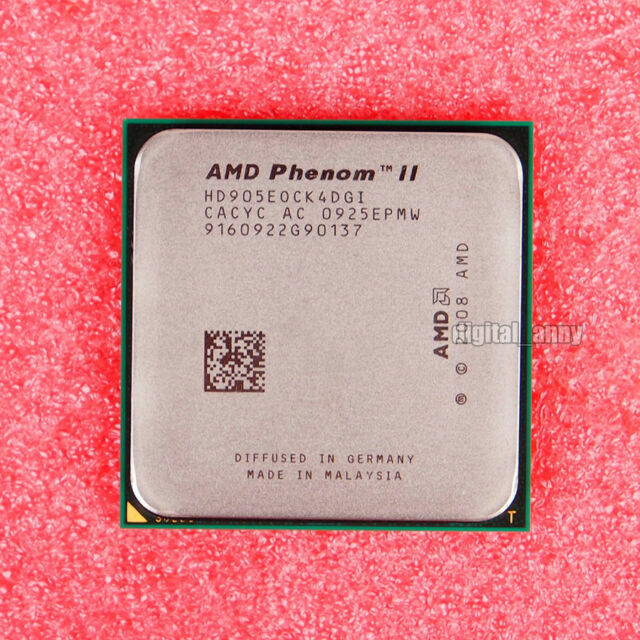 AMD Phenom II is for high definition entertainment, gaming, creativity, and beyond. With AMD Phenom II processors as the foundation, you'll enjoy a level of responsiveness and visual intensity. AMD puts high definition computing within everyone's reach. Do more than Dual Core - take advantage of a third core to get performance that turns your imagination into reality. CPU arrived on time but had two bent pins. I was able to straighten them so I'll give it 5 stars.